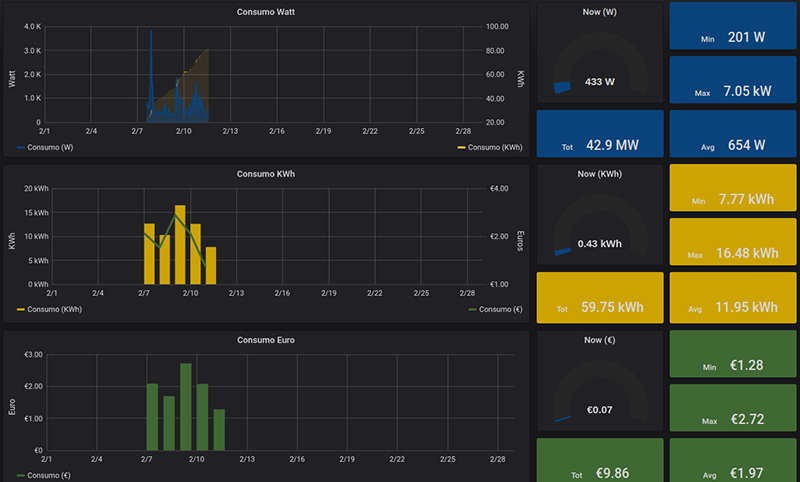 Hello all, I’m here to share with you my beta dashboard, build in grafana and with data from EmonCMS. I’m using nodered to write the data from EmonCMS to a Influxdb DataBase, and then build the dashboard in grafana! The result is a pleasing dashboard that I display in a tablet! The system is new, so the data is still small. Maybe u can show us how u send the data to influxdb?? Hello @mauriciosti, at the moment I’m using NodeRed as a relay to duplicate the data to InfluxDB and then use it in Grafana! 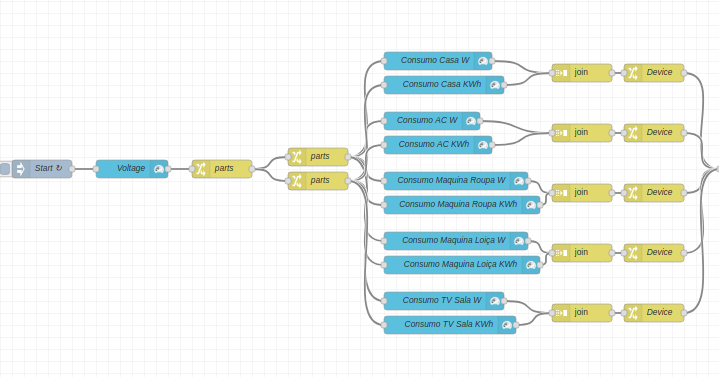 I’m using the NodeRed node node-red-node-emoncms, but I’ll be changing it only to use MQTT.